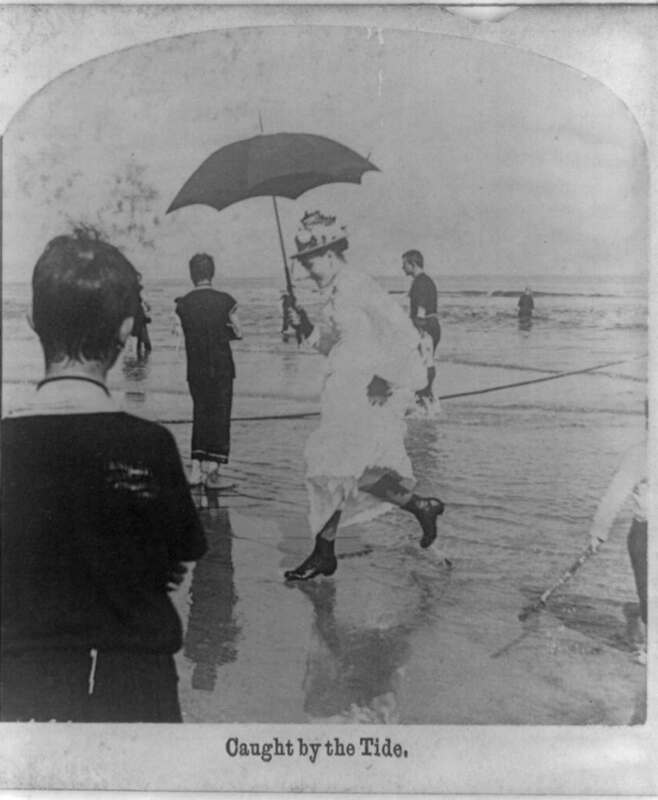 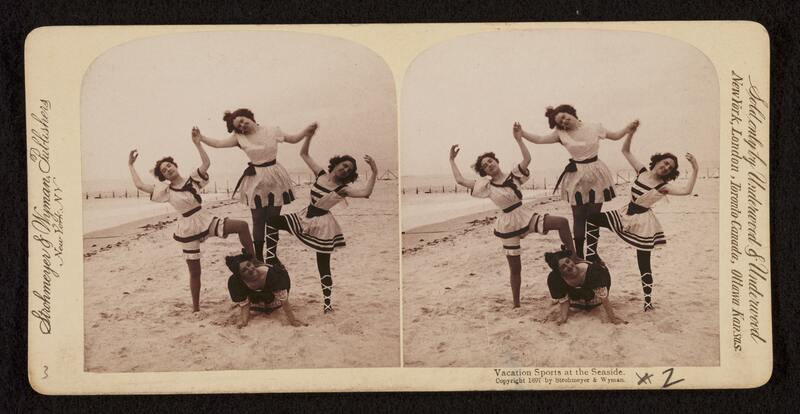 The stereoptype is of the prudish Victorian laced-up on the beach, stiff to the point of rigor mortis. 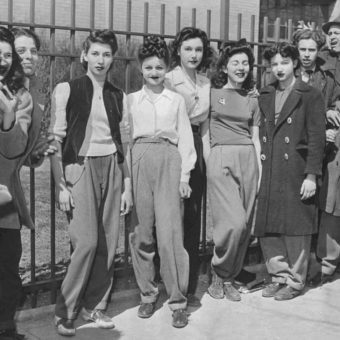 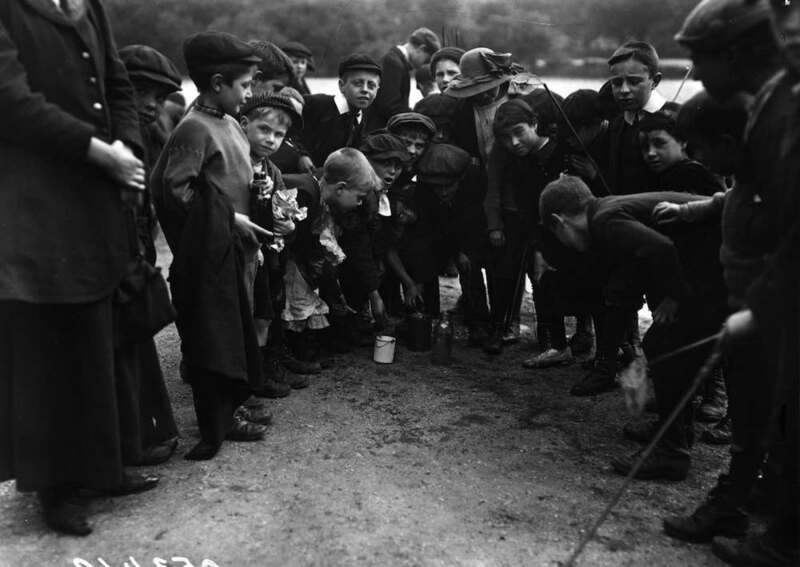 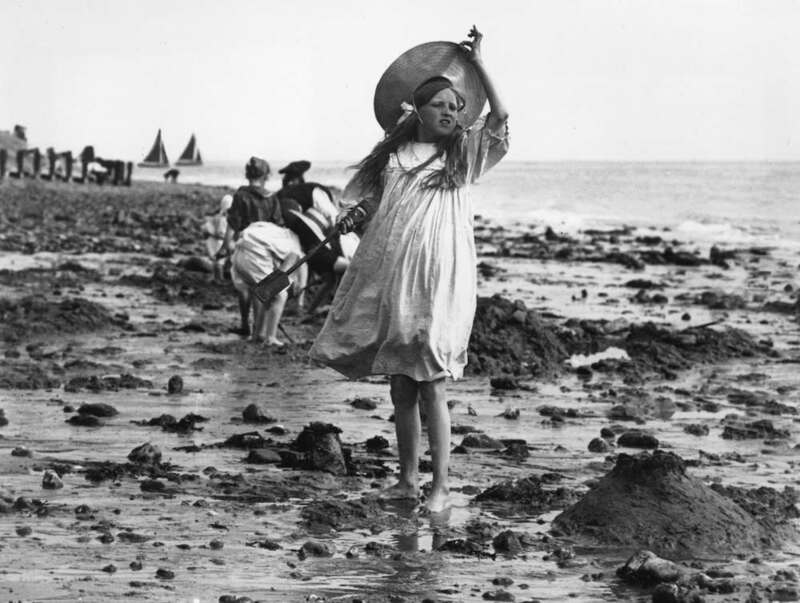 As the sun beats down, they put on their lids – bowler hat for him; flouncy bonnet for her – raise umbreallas and dare not sweat into their billowing tweed knickers lest is create a ‘stir’. 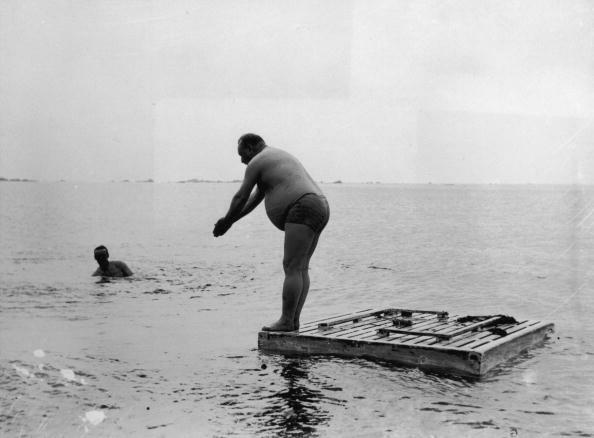 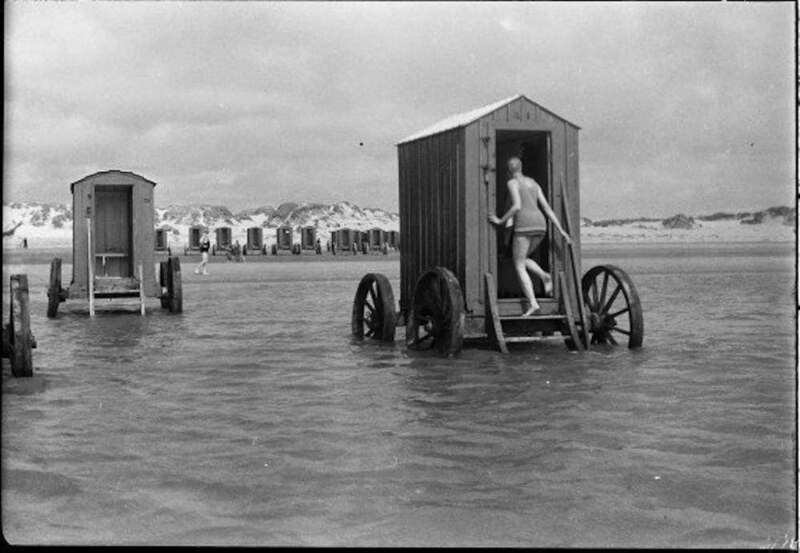 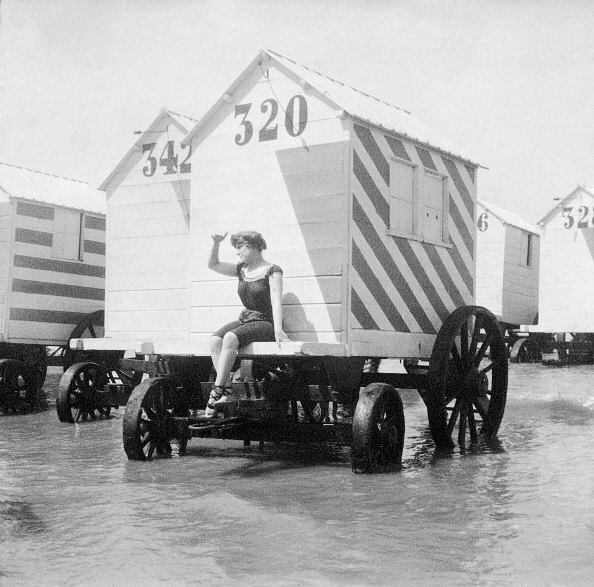 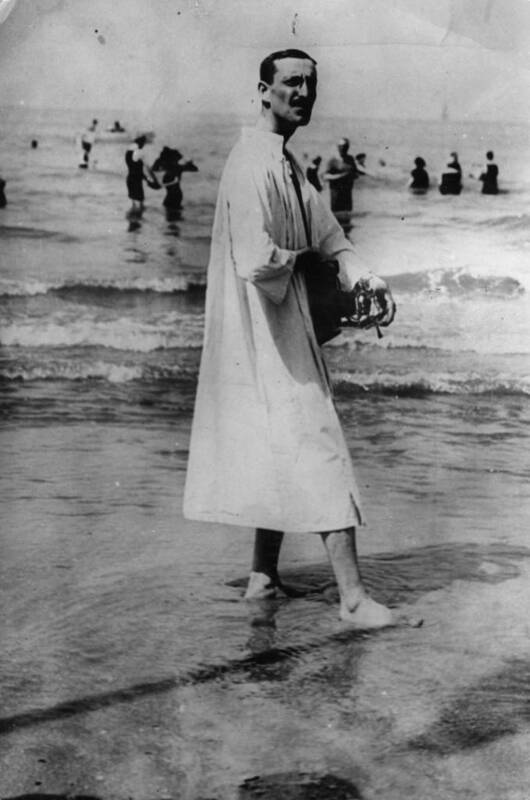 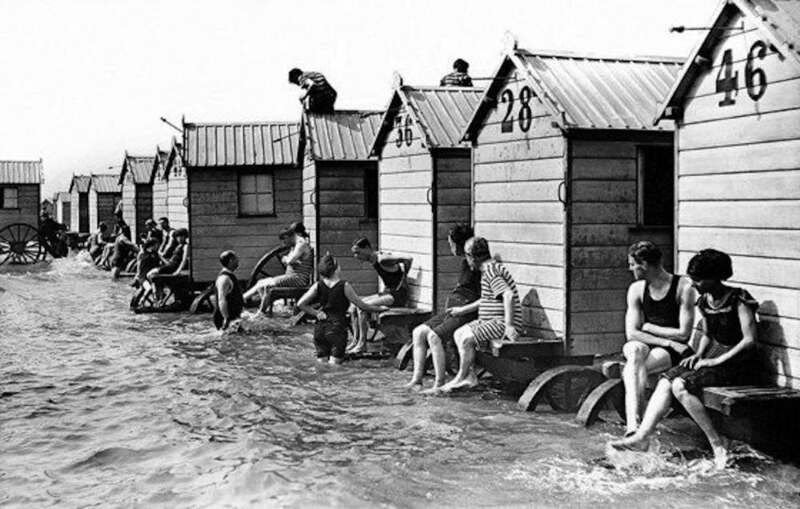 So uptight were these fools that they relied on bathing machines to get them to the water. 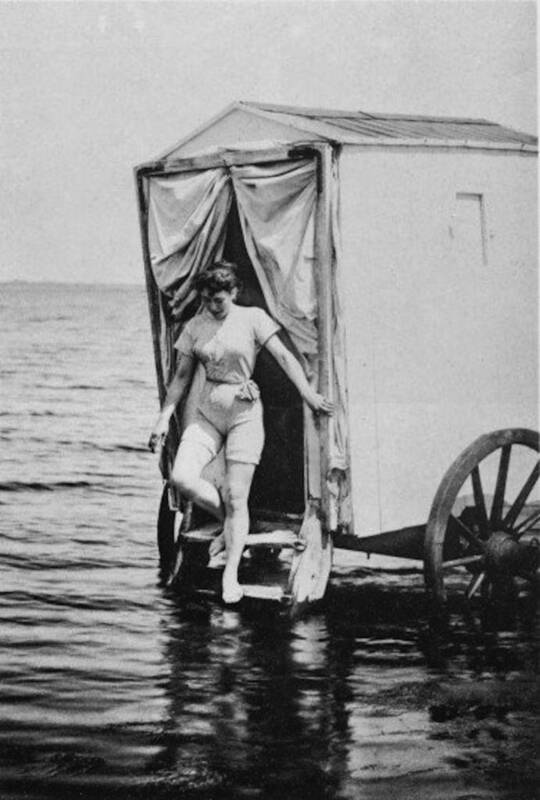 The timid tourist would enter the mobile snob shed though one door, change out of their lace and wool burka and emerge the other side into the refreshing waters with pretty much just the corset and sock braces removed. 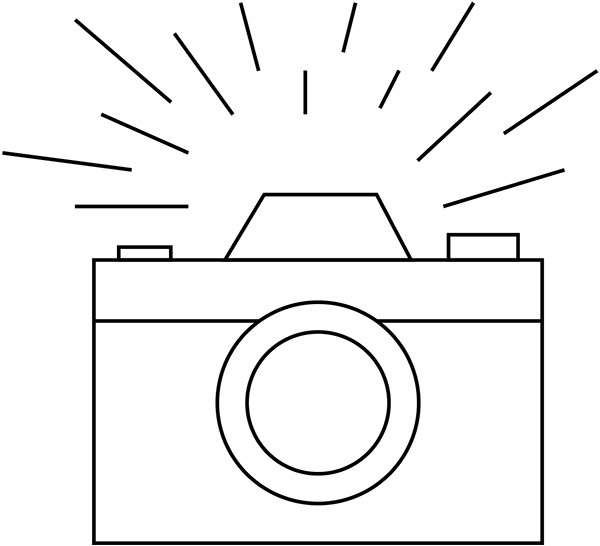 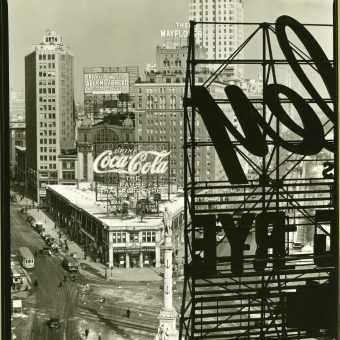 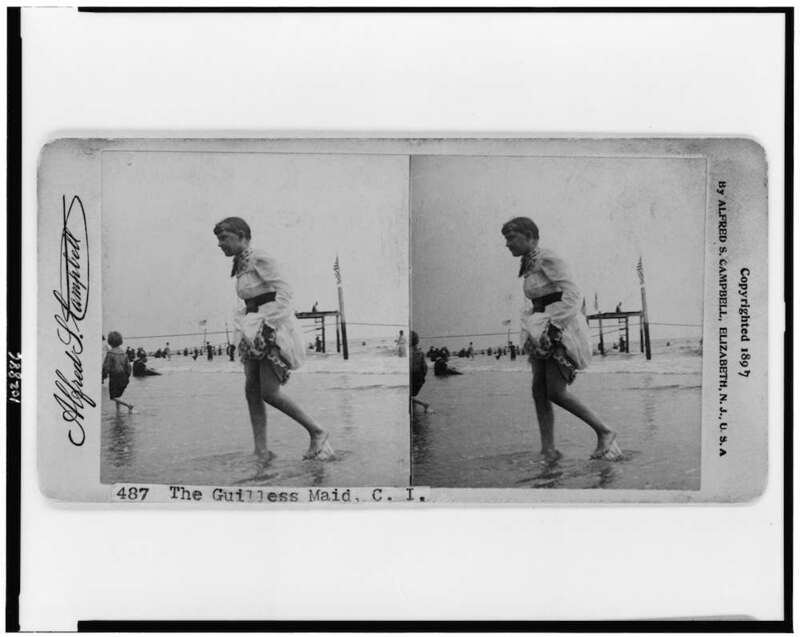 Every stereoptype has a grain of truth. 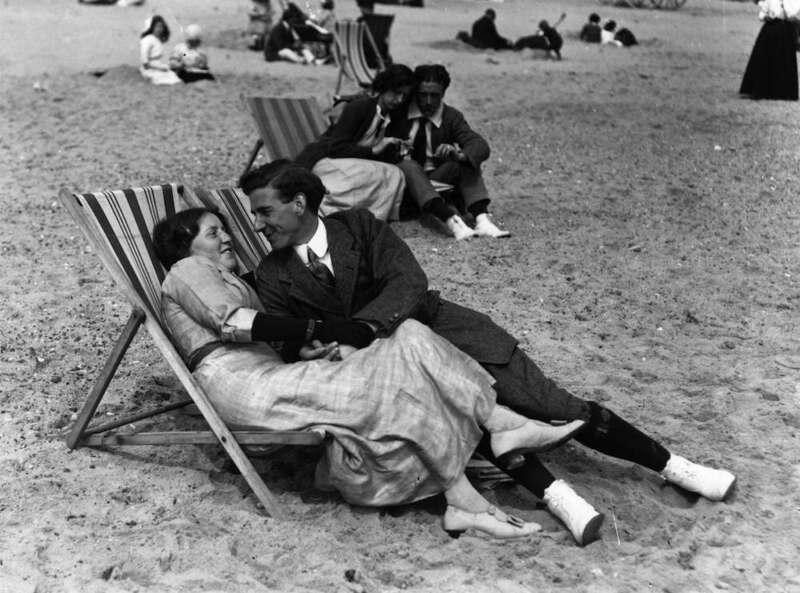 But the reality was a little different. 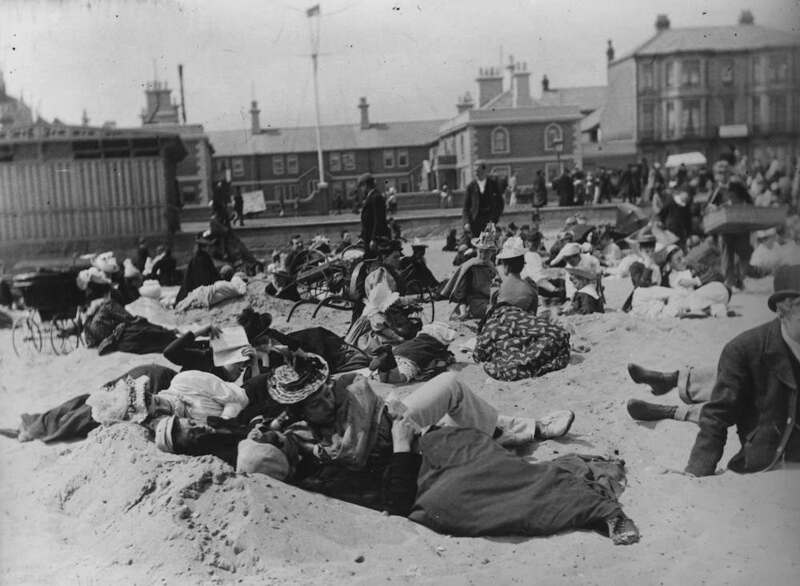 The sands were about life, love, lust and fun. 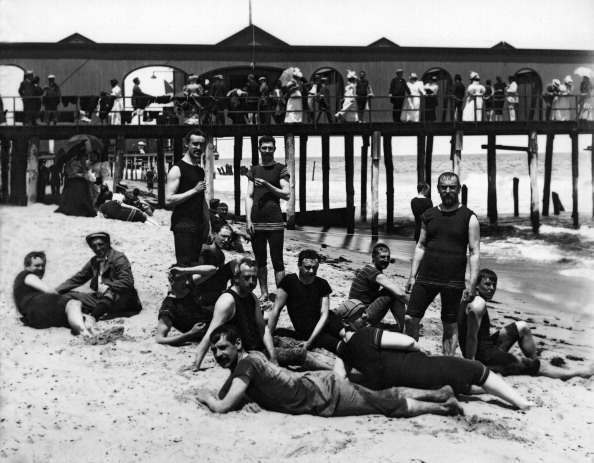 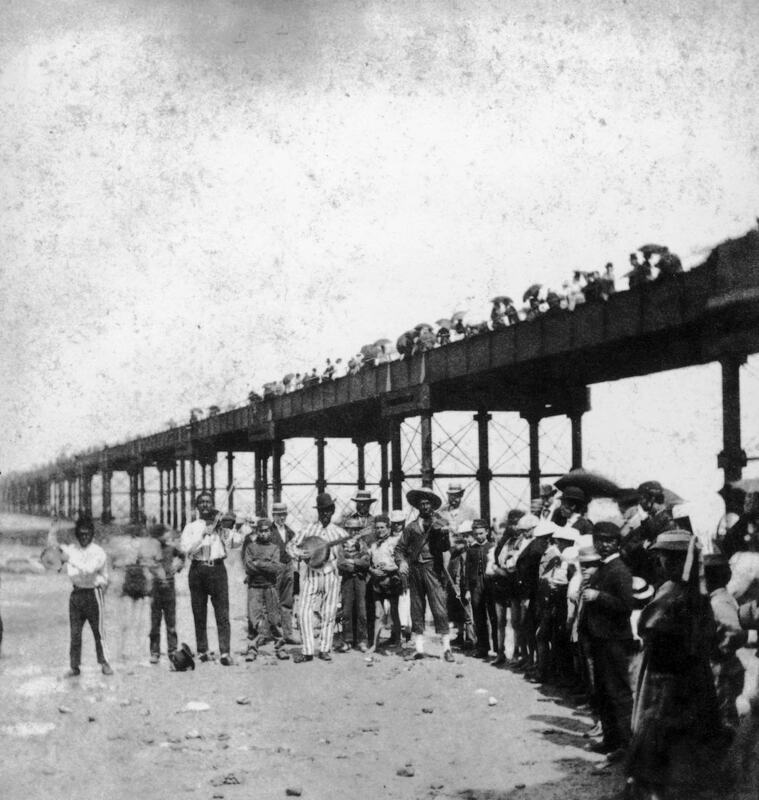 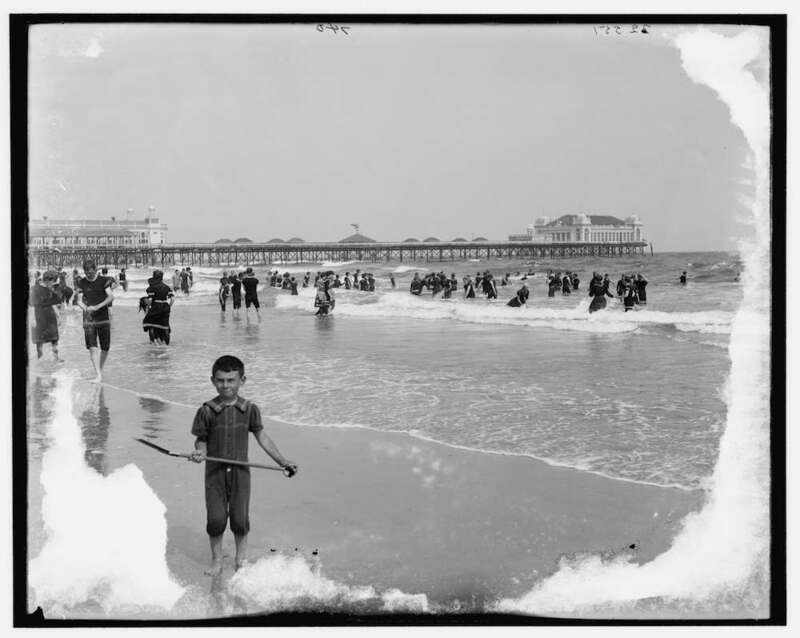 A large group of male bathers by a boardwalk at the ocean, United States circa 1885. 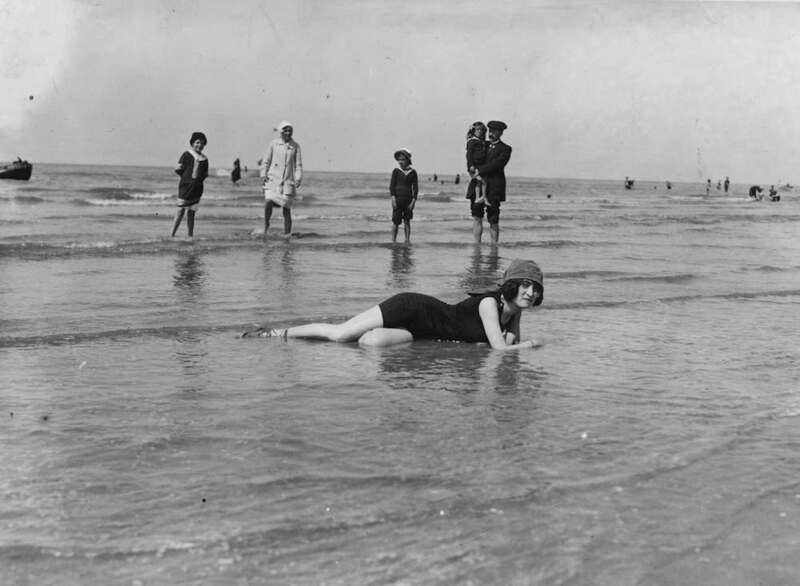 1890: Bather. 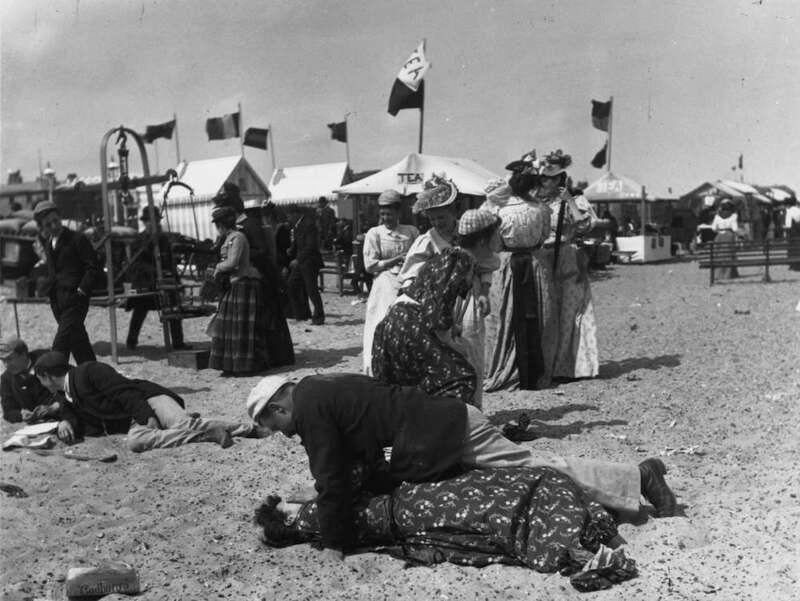 France, about 1900. 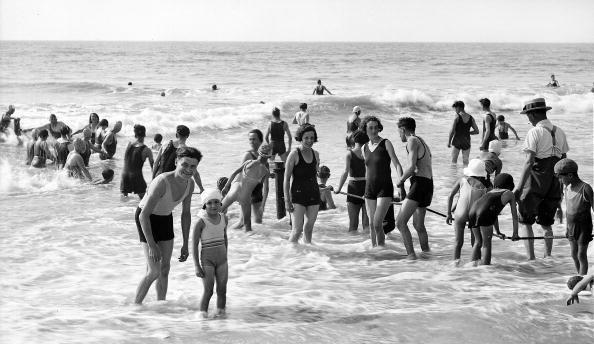 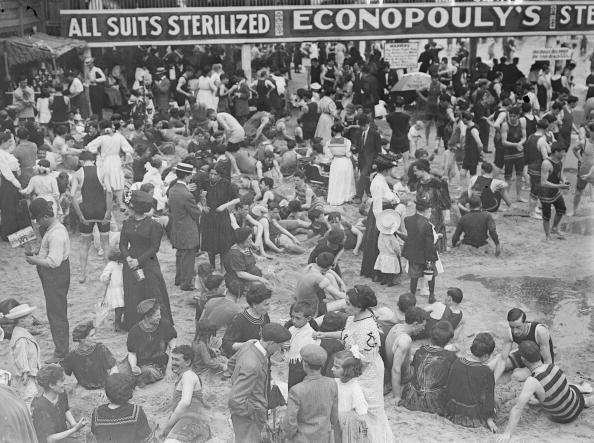 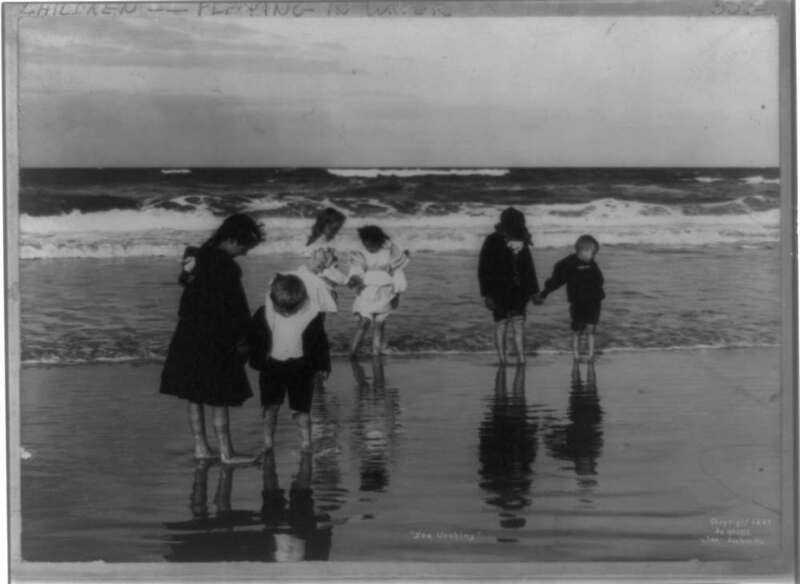 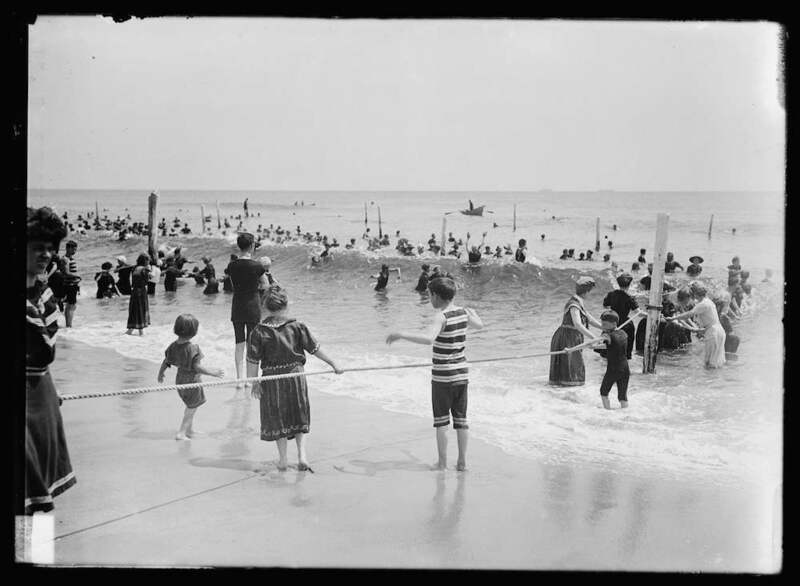 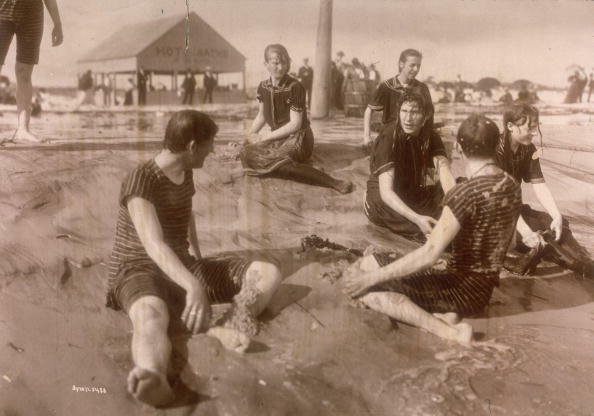 1897: Young men and women wearing bathing suits sit in wet sand at the water’s edge, Far Rockaway Beach, New York City. 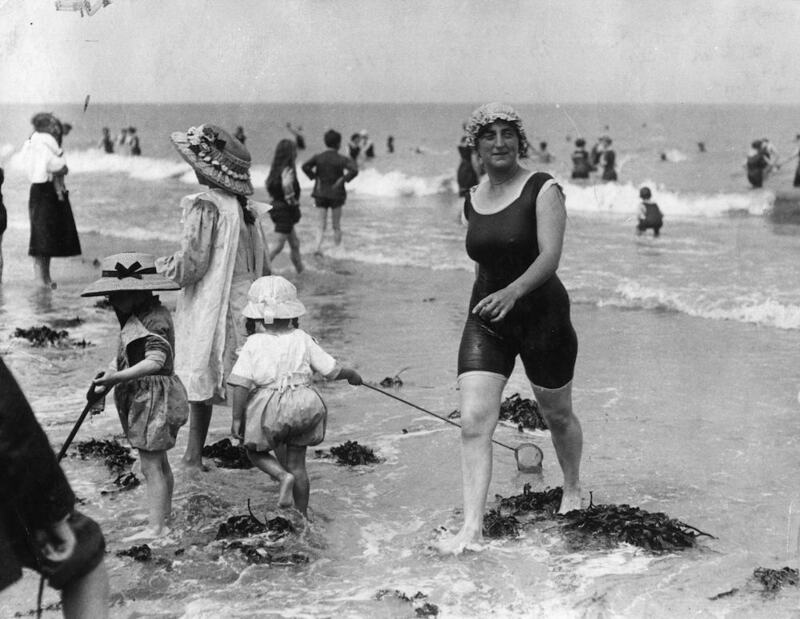 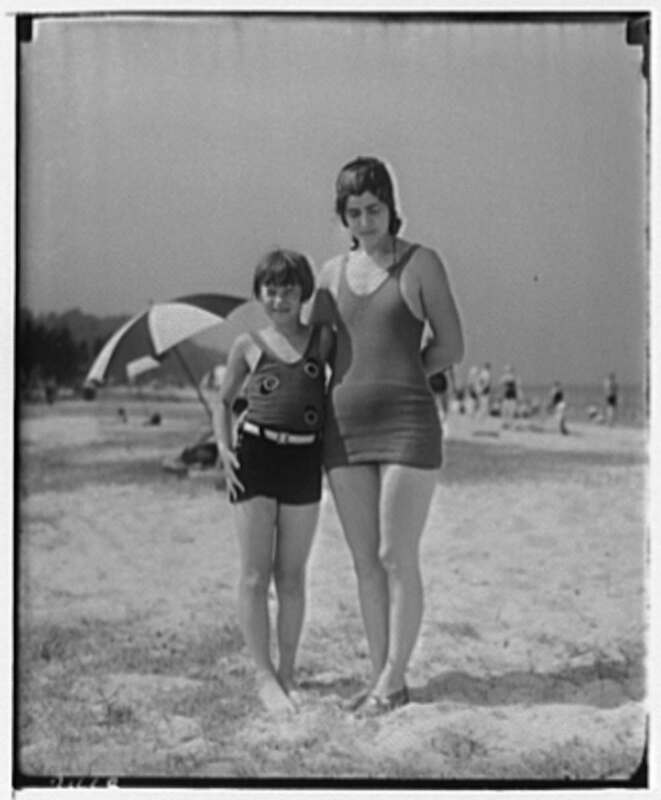 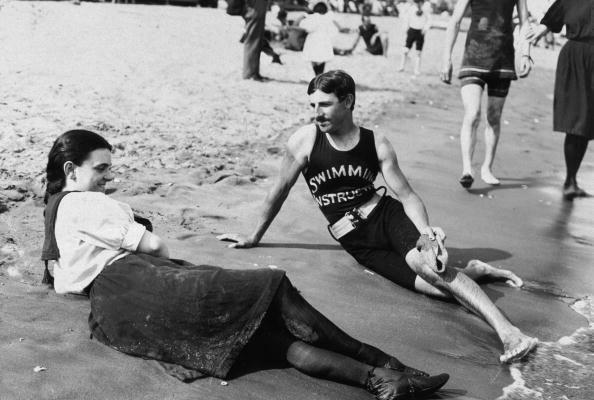 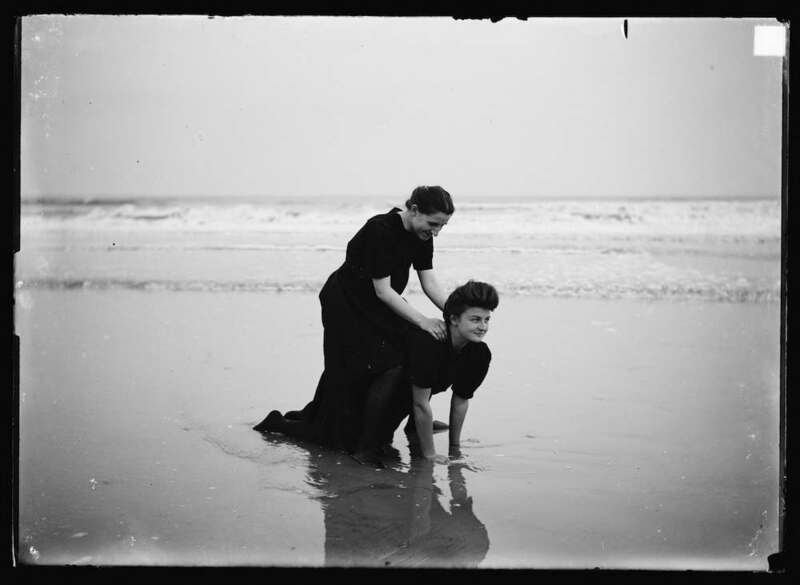 1898: Portrait of a bathing suit-clad woman and a swimming instructor lying close to the surf on Midland Beach, Staten Island, New York. 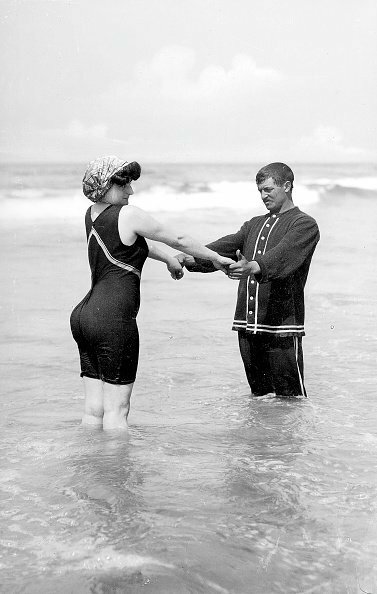 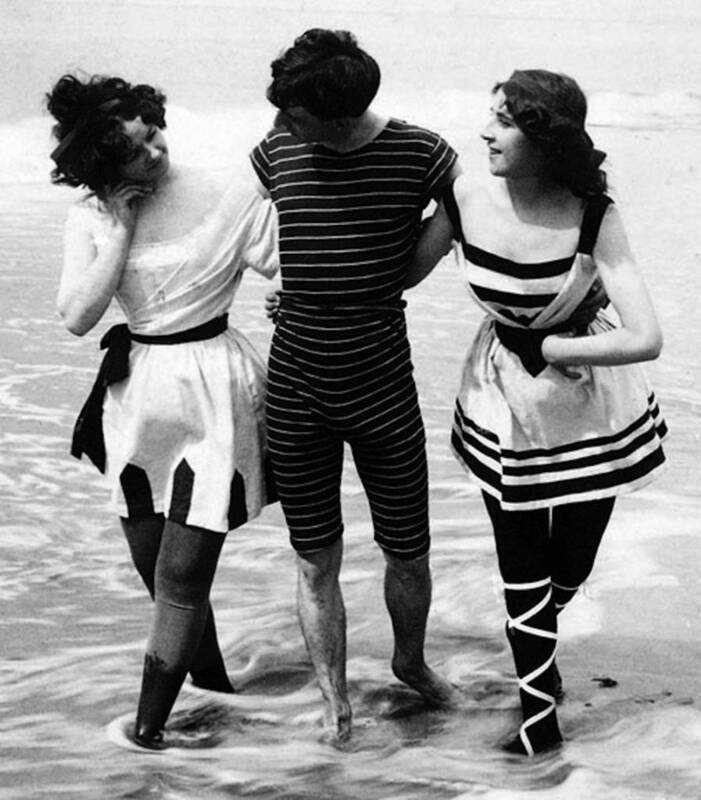 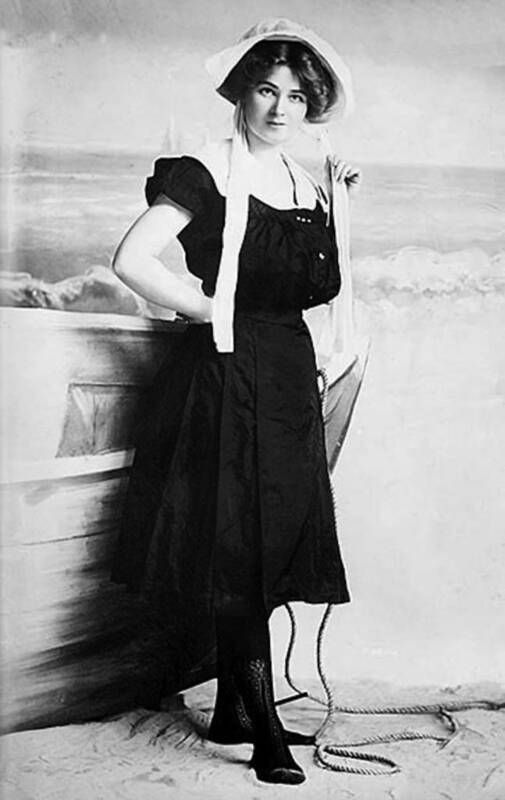 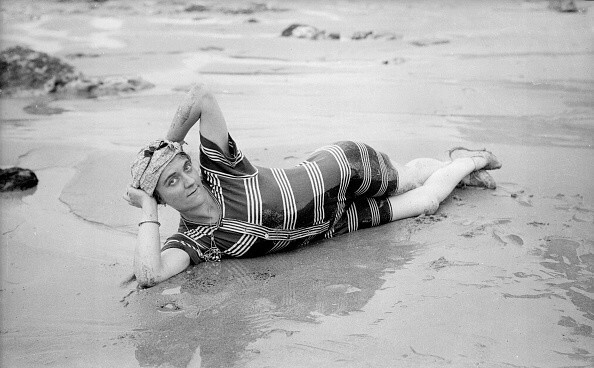 1900: Bathing suit, about 1900. 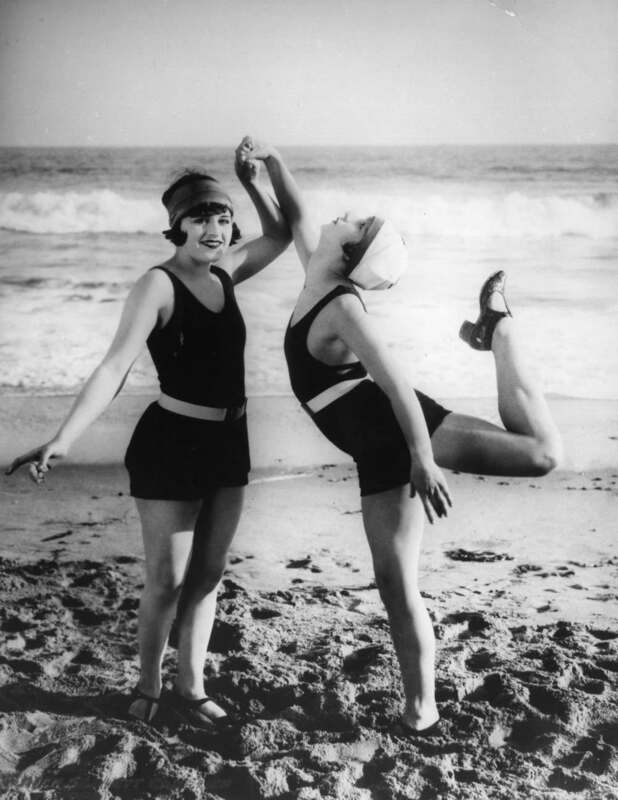 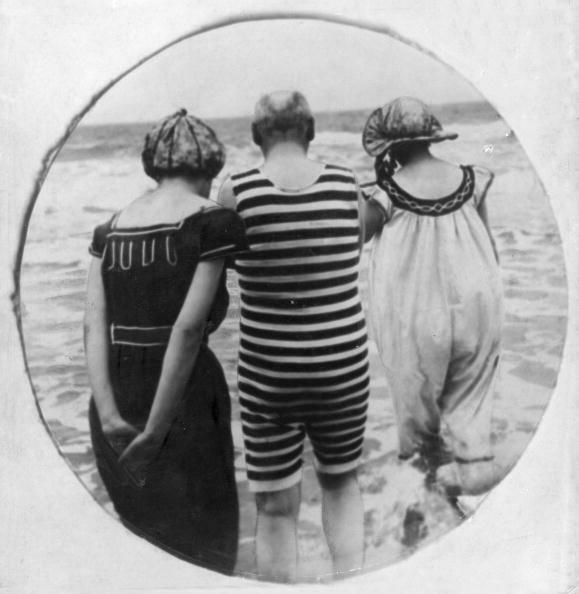 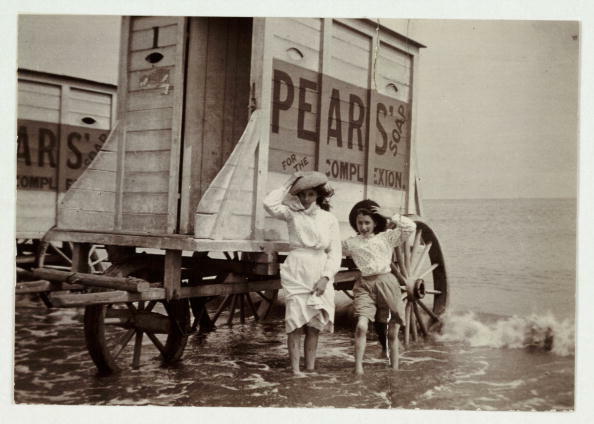 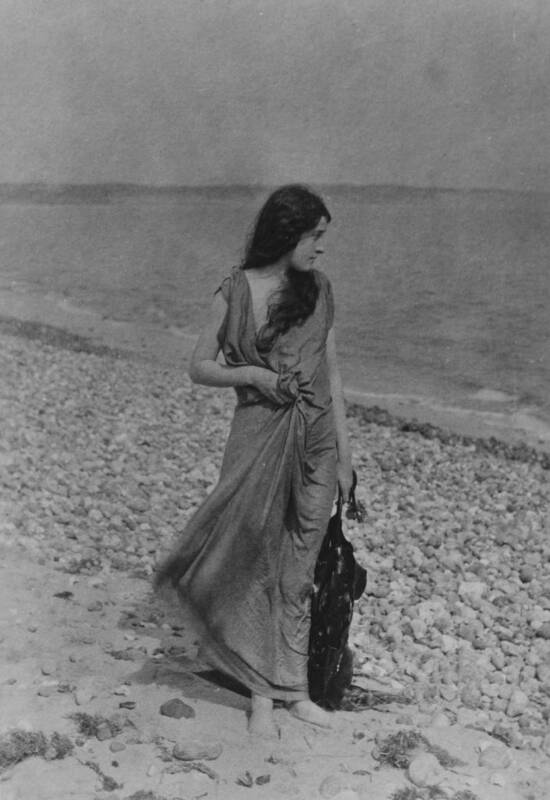 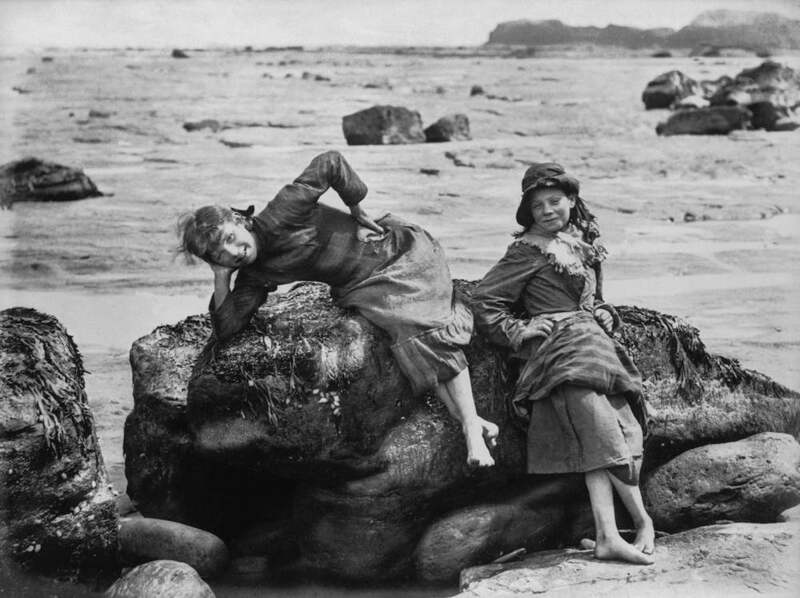 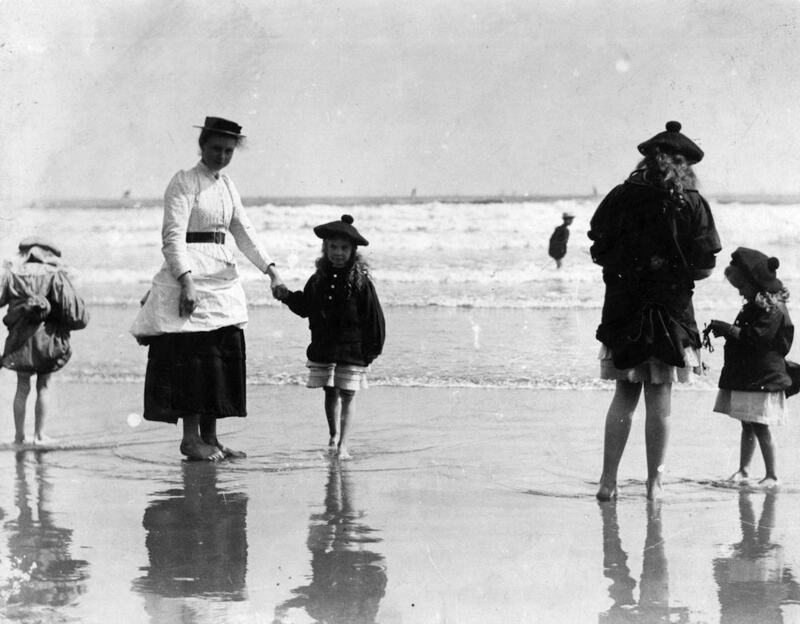 A snapshot photograph of a young woman and a girl at the seaside taken by an unknown photographer in about 1900. 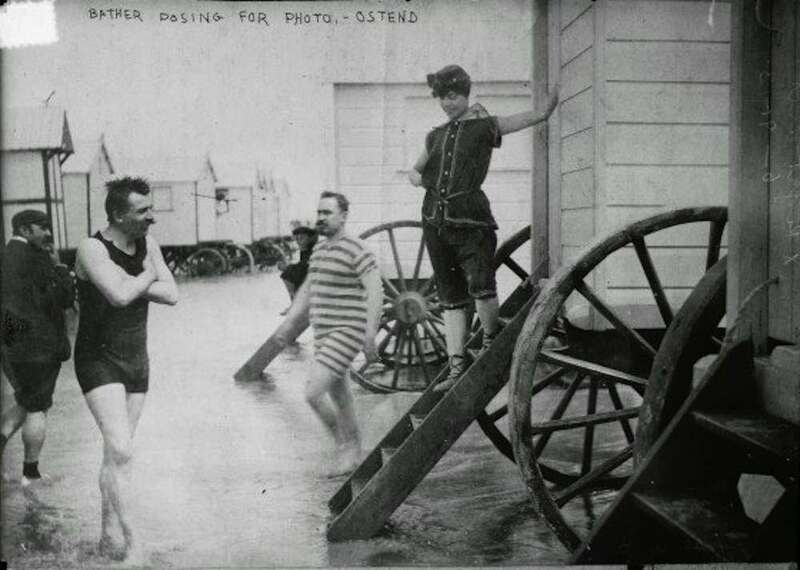 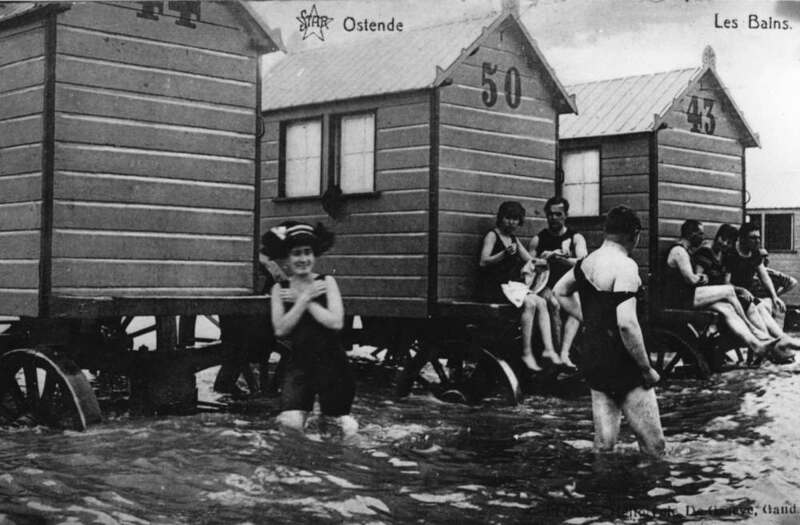 Bathers and bathing machines at Ostende. 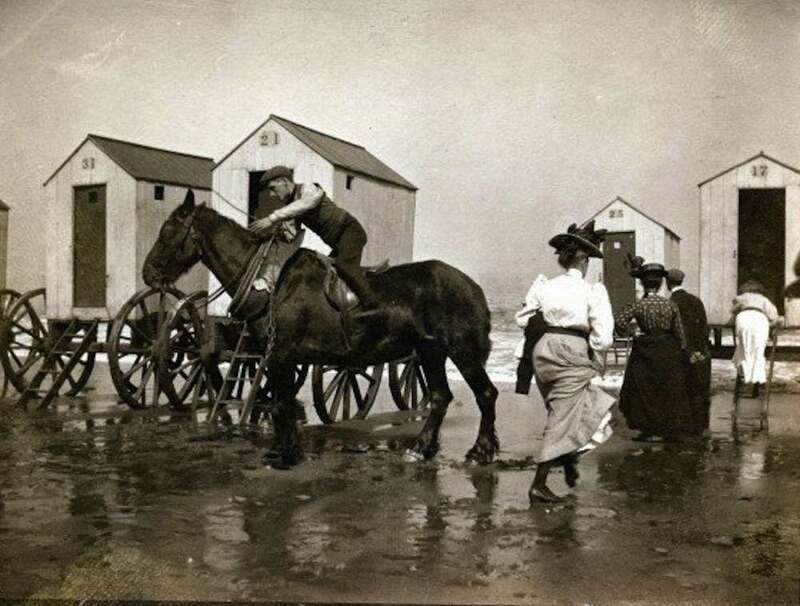 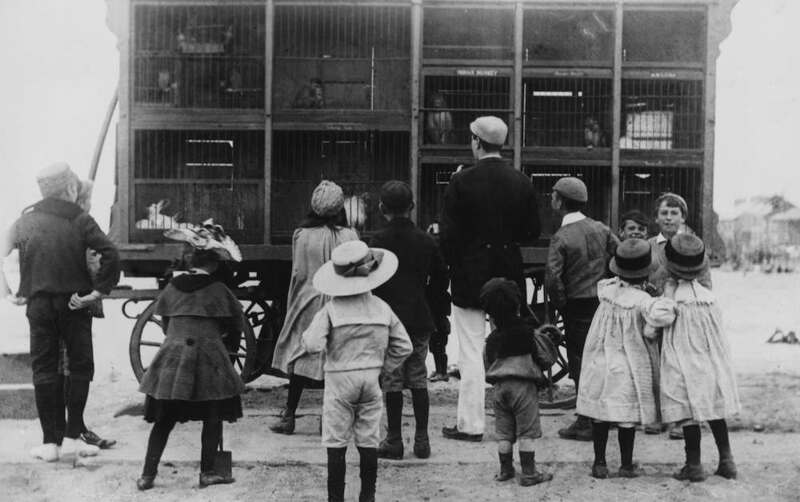 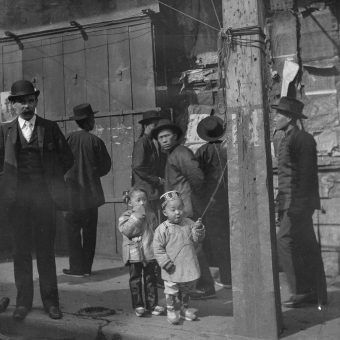 Horsing around, Atlantic City, N.J.
Coney Island (New York, N.Y.)–1890-1900. 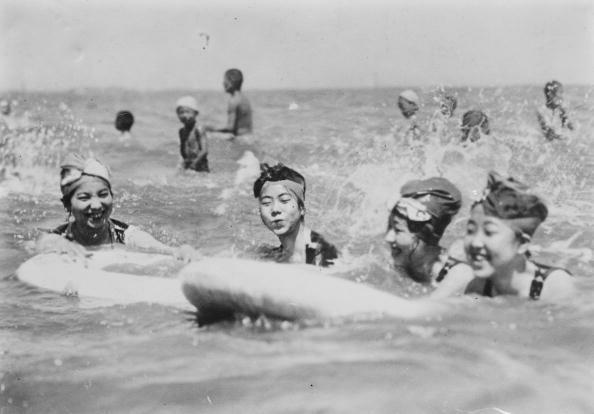 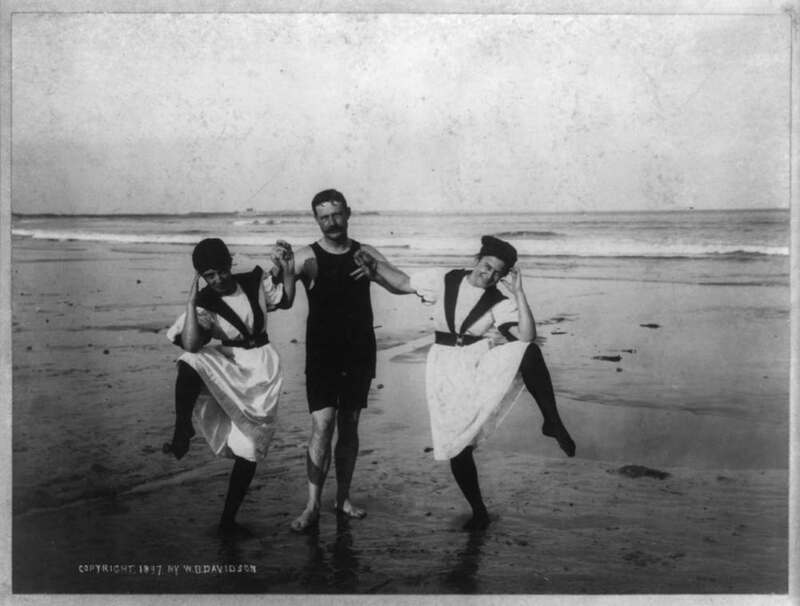 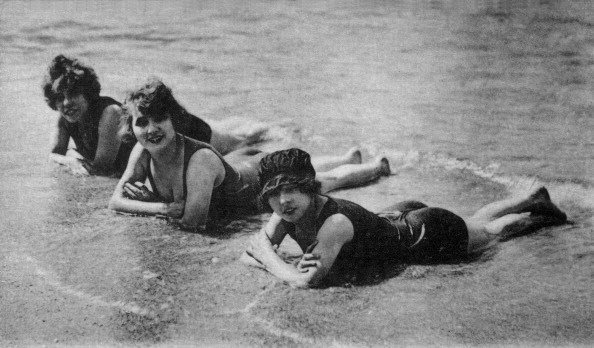 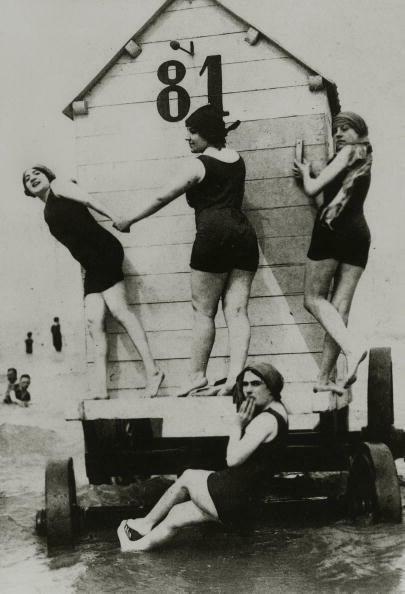 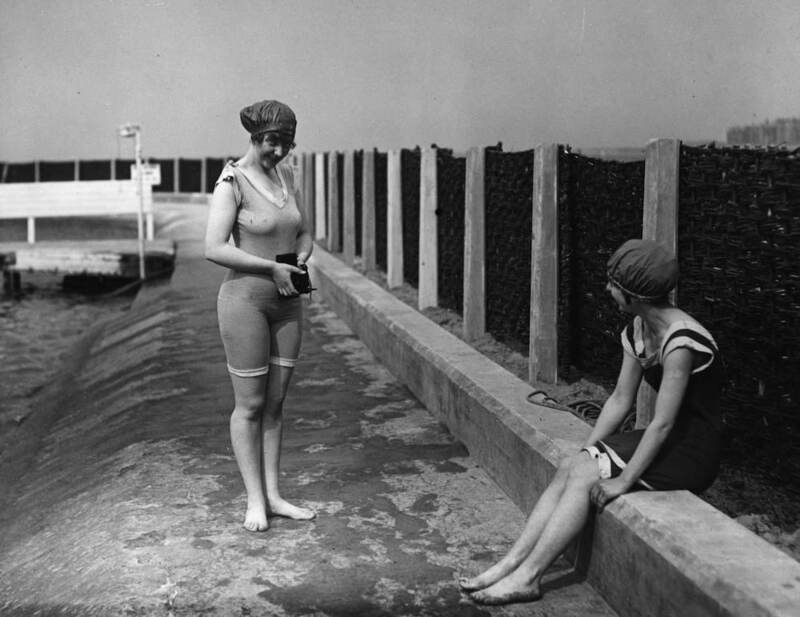 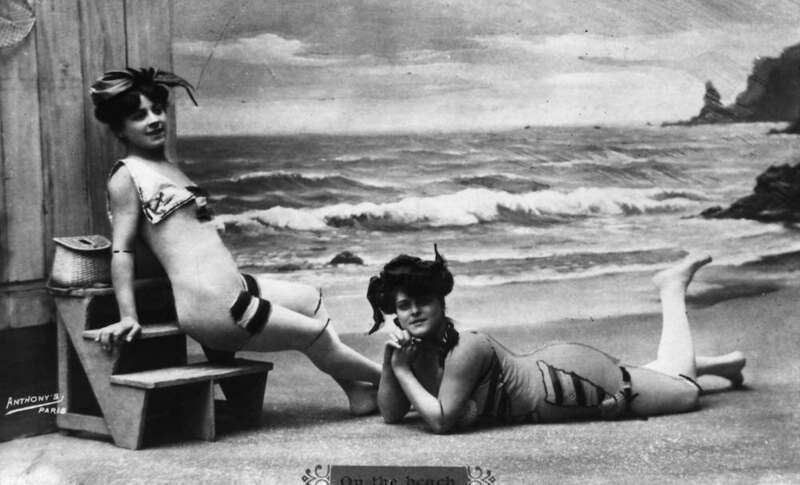 Bathing beauties–New York (State)–New York–1890-1900.